The Lost Canyon Project is a 7,000 acre foot water supply project for the Basin which was started in 2002 and completed in 2004. This project represents western Summit County's first importation project - meaning all water is brought into the basin from outside (Weber River in Eastern Summit County), rather than taking the sparse water resources in the Snyderville Basin area. Mountain Regional Water District and Park City share capacity in this project. The Signal Hill Water Treatment facility is the final component of the Lost Canyon Project (above) and is described separately here. This facility was completed in 2004, and upgraded in 2010 to add some pre-treatment and post-treatment processes and to increase efficiency. These projects consist of major pipeline projects (Transmission lines) which assist in the delivery of water across the Basin, as well as Storage and Reservoir projects used to store water to meet peak day demands and provide water for emergencies, i.e. fire fighting, etc. Because of the many pump stations we inherited in our rationalization project, many of these are old, obsolete, and very inefficient in their operation and energy consumption. Mountain Regional has an ongoing program to upgrade many of these over time to the model of efficiency and reliability. Mountain Regional Water District has 11 deep wells currently in operation. In November of 2015, the District undertook its larges well drilling project ever, know as the Bison Bluff Well. 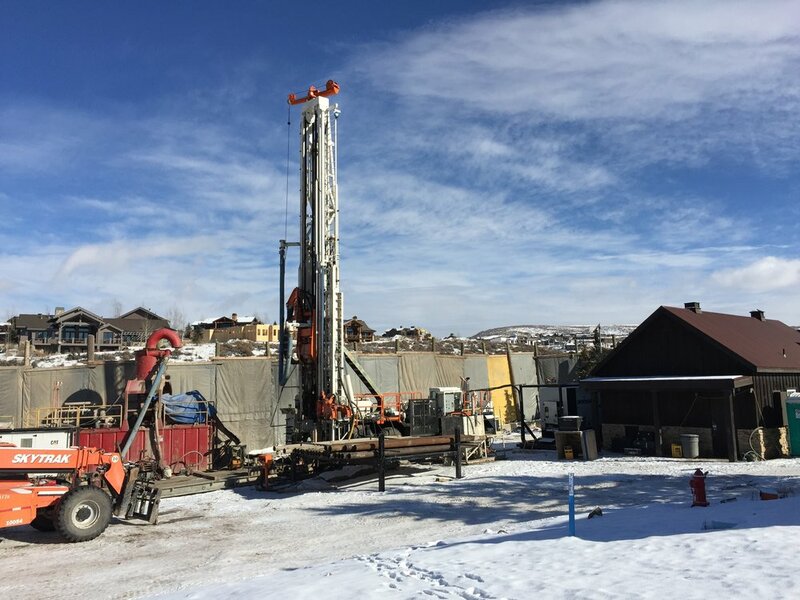 This well is located near the bottom of Promontory Development and after drilling to 1,000 feet deep, and pump testing, produced 1,500 gallons per minute of high quality water, making it the largest producing well in Western Summit County. This well project will be completed by Spring of 2017.